27 May – 3 June is National Reconciliation Week 2012. May 27 marks the anniversary of Australia’s most successful referendum and a defining event in Australia’s history. The 1967 referendum saw over 90 per cent of Australians vote to give the Commonwealth the power to make laws for Aboriginal and Torres Strait Islander peoples and recognise them in the national census. 2012 marks the 45th anniversary of the ’67 referendum. On 3 June, 1992, the High Court of Australia delivered its landmark Mabo decision which legally recognised that Aboriginal and Torres Strait Islander peoples have a special relationship to the land—that existed prior to colonalisation and still exists today. This recognition paved the way for land rights called Native Title. This year is the 20th anniversary of the Mabo decision. The theme for this year is Let’s Talk Recognition—with a focus on how Australians can better recognise each other, and recognise the contributions, cultures and histories of Aboriginal and Torres Strait Islander peoples. Each year QUT staff and students are invited to participate in Reconciliation Week activities. The University, the QUT Student Guild and community organisations such as ANTaR (Australians for Native Title and Reconciliation) conduct a range of activities including speakers, information stalls, entertainment and more. Visit the website to find out how you can support and join in QUT Reconciliation Week activities. Come along to the library and see the great work being exhibited by the KIB101 Visual Communication students! This is an excellent opportunity to see what the Creative Industries students at Caboolture have been working on this semester. Their work will be on display for two weeks, so make sure you check it out next time you’re in the library. For a bit of a preview, check out the photos on the Creative Industries Caboolture Community Facebook page. QUT’s Ask a Librarian Chat Service. QUT Library offers the Ask a Librarian online chat service, between 10am and 6pm from Monday to Friday. Research Desks, QUT Library offers the Ask a Librarian online chat service, between 10am and 6pm from Monday to Friday. Fill in some basic information and you’ll instantly be in real time contact with a living, breathing librarian. assignments. Try it out now! online 24/7. The Ask QUT Library FAQ is a great way to find quick answers to frequently asked library questions. 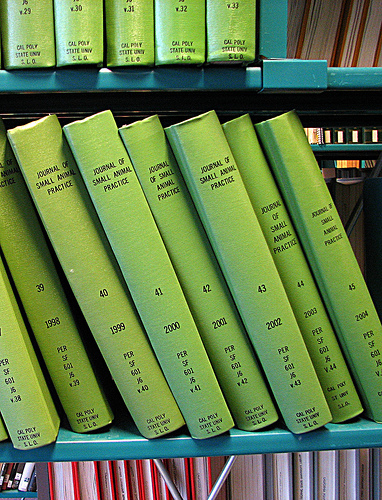 Academic journals are collections of articles that are published on a regular basis and contain up to date information in a particular subject area. Therefore journal articles are an important component of assignment research and need to be correctly referenced when completing an assignment. It helps to remember that the rules for referencing a journal article are basically the same, regardless of the format. Both print and electronic journal articles in your reference list must contain the following elements: author, date, article title, journal name, volume number, issue number and page numbers. You will find these details either on the article or in the database record. The only time you will not include an issue number in your reference is when the journal article does not have have one. Now consider the format of your journal article. If it is a print article there is no more to add to the reference! For electronic articles there is just one more step. Does your journal article have a DOI? This provides a permanent link to an online resource and is usually printed on the first page of an electronic journal article. Alternatively you can check if a DOI for your electronic journal article exists by searching the CrossRef database (http://www.crossref.org). The DOI is placed after the page numbers in your reference. If a DOI is unavailable for your electronic journal article, do a quick web search to locate the home page of the journal/magazine/publisher and provide this URL instead of a DOI. Always check the final format of your reference including the order of elements, punctuation and the use of capitals or italics by referring to QUT cite|write. In your reference style, eg QUT APA or QUT Harvard, select the Journal Articles tab and then view Types of Journal Articles. Remember, if you need help, come to the Learning and Research Desk, give us a call or chat to a librarian online. Happy referencing! Just don’t do this with our books! Kelvin Grove library is showcasing a collection of inspired sculptures made from books. Libraries are more than books and books are more than a good read. Kelvin Grove library is hosting More than a Good Read – a beautiful collection of sculptures made from books. The works were used as centrepieces for a library conference and are now touring as part of the 2012 National Year of Reading. They were created by members of the Logan City Council Libraries and Cultural Services Team – proving that librarians can be more too! The works are in display cabinets on Levels 2 and 5, just opposite the lift. 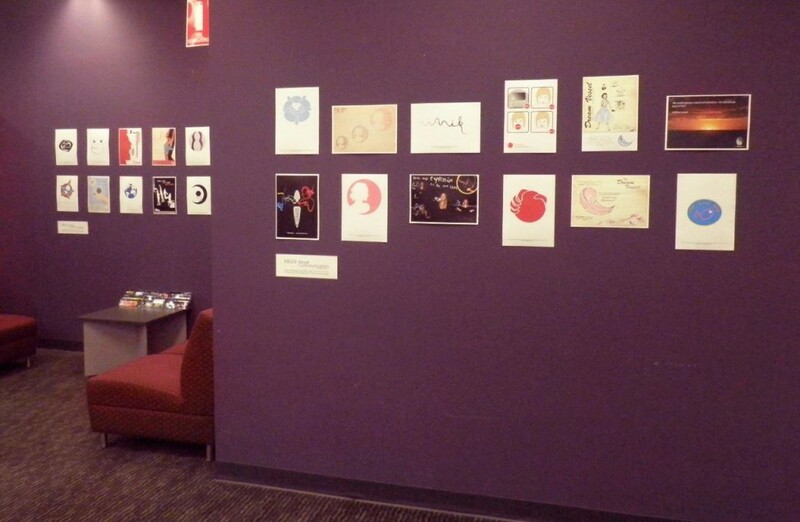 While on level 2, you may want to relive your childhood by examining the display of works by Maurice Sendak. Sculptures made from books are growing in popularity. More examples of great book art can be found online. Some of our favourites are by Guy Laramee , Su Blackwell and Nicholas Jones. The prize, however, belongs to Edinburgh’s secretive (and very literary) mystery sculptor. Did you know the Maths Access Centre, or QUTMAC for short, has drop in spaces at Gardens Point, Kelvin Grove and Caboolture? Did you know the Maths Access Centre, or QUTMAC for short, has a drop in space at Caboolture? For more information visit the QUTMAC BlackBoard site. Your grades are important. Your time is precious. Are you ready for extreme study? Time management, reading, notetaking, researching, writing, referencing, teamwork, presenting and exam preparation … Studywell has something for you just when you need it most. With practical study tools, guides, videos and links to useful resources, Studywell is your one-stop shop for academic success. Access to the Learning Place is provided to individual QUT Faculty of Education students, who hold blue cards, upon payment of an annual fee of $32.00. Students can pay online via QUTPay 2012 Access fee to the DET secure online learning environment (The Learning Place). The Faculty will submit the details that you enter into the QUT Pay system to the DET in a bulk report. Requests will be forwarded to DET on a weekly basis to enable access. It generally takes a number of days for individual access to be finalised. Once your details are forwarded to DET, you will receive an email from them requiring you to agree to a code of practice before your access will be confirmed. Reference and write right, now – save time, later. Academic referencing, citing and writing is a skill. Doing it well takes time and practice but it is not difficult once you understand the basics, develop your skills and know where to find help. QUT cite|write is your best place to start. The booklet gives you a general overview on the different styles used at QUT, explains what referencing and citing is and why it is important, and provides a basic introduction to academic writing. Students new to QUT can pick up a free copy at any Library Learning and Research Desk or anyone can download a copy from the QUT cite|write website. The website gives referencing and citing examples in each of the four styles, as well as guides for writing in different formats. It is the practical tool to use while you work on your assignments. Then, if you still aren’t sure, the Library has people who can assist you. Come in and ask.